A few weeks ago, I received a well-reasoned and thoughtful letter from a (non-historically Karaite) Jewish man who has been attending the Karaite Jewish synagogue in Daly City for a few months. 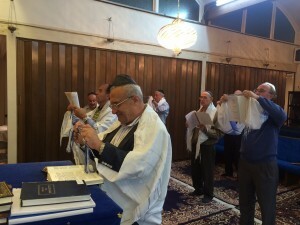 He said that the Shabbat service is the best asset the KJA has, because it is more engaging than its Rabbinic counterparts. He added, though, that he hoped the KJA would find a way to make more parts of the service accessible to persons who do not speak Hebrew. His email to me was well-timed; the KJA had just put together a committee to review its siddur and to reflect on the nature of our services. Exciting things are on the horizon. 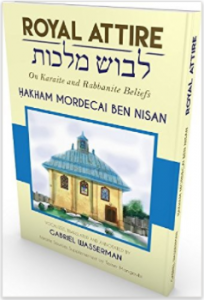 A Place for Rabbinic Thought in Karaite Literature? 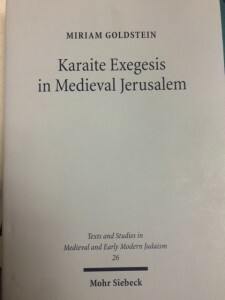 Just finished Professor Goldstein’s book. An excellent read about a little known Karaite text, the Talkhis. 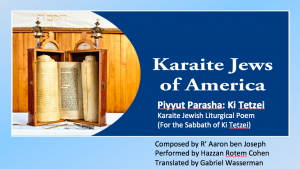 Karaite Judaism is often described as “anti-Rabbinic.” I prefer the term “non-Rabbinic”, even though there was plenty of “anti” in the early Karaite movement. 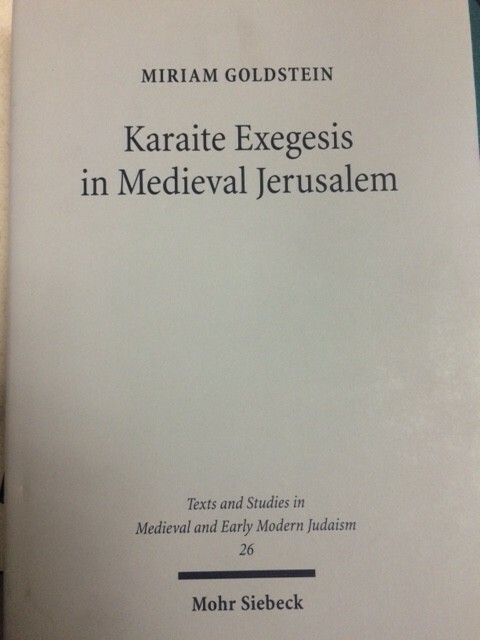 Today, I look at something that may appear incongruous: Rabbinic thought in Karaite literature.